AURA CHASSE HYDRAULIC MODEL is a coil spring scragging and load deflection (chasse) testing machine, hydraulic type. 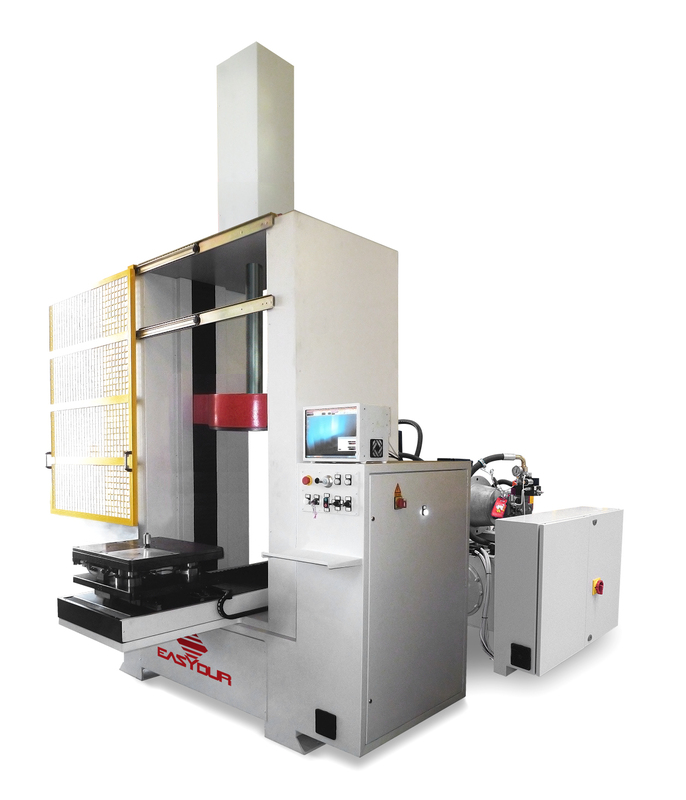 Three cells are mounted in the instrument at 120° for axial load calculation with a read speed of 1000 Hz and 100.000 parts divisions for an high resolution real time reading. The cells are protected against overload and with the release of the automatic axis in the event of out of scale values or of unforeseen impact and they have integrated compensation of cell sagging. Cells load vary from 10T to 100 T within a 0.5 precision class. The instrument is equipped with a touch screen computer and a software entirely developed by Easydur and based on Windows, with internal management of archives, statistics and certificates in Excel format, totally modular and customisable by the customer. Movements with a sinusoidal profile (for stress cycles). Loading and unloading of the spring on the instrument can be totally automated by using a motorized cart with automatic opening and closing of the protection door. The user will only have to press the “GO” button for a complete test cycle.